VanDenBerg and Sons Furniture, Inc has been in business in the Kalamazoo, MI area since 1937 and is still owned by the founding family. After expanding the showroom space several times at the present location VanDenBerg Furniture is known for quality home furnishings, high service standards and a well-trained staff. Showrooms are arranged so you can easily visualize any group of furniture in your space. This allows the decision making process to be fun and easy. You will find that browsing our many showrooms is both relaxing and informative. 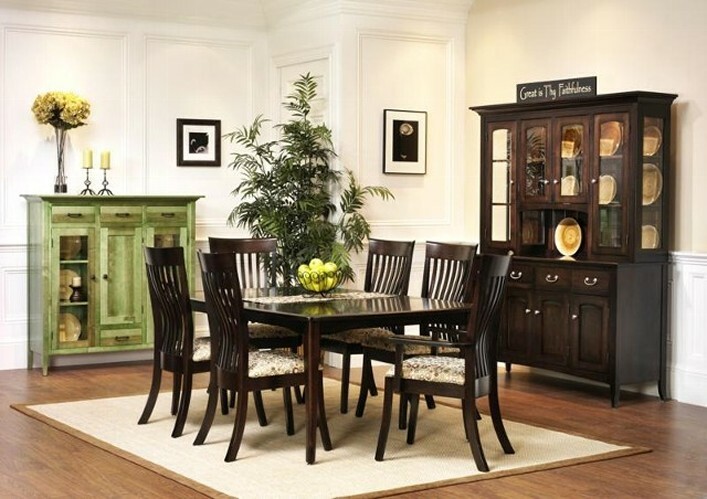 If you are looking for one perfect item or a house full of furniture, our manufacturers will provide you with the flexibility to choose designs, colors, and sizes that match your style and budget by special ordering any piece. Anything on our floor can also be purchased, which allows you to take your selection with you or to arrange for delivery..
VanDenBerg Furniture is located just south of Kalamazoo and 1 mile north of Schoolcraft on U.S. 13. -Monday, Tuesday, Thursday, & Saturday: 9:30 a.m.-5:30 p.m.
-Wednesday & Friday: 9:30 a.m.-8:00 p.m.
We are located on the Corner of US Highway 131 and West U Avenue. 8 miles south of I-94; just south of the intersection of Shaver Rd and US 131. See our map for directions.